It is my pleasure to announce that after 7 years, Opcode Games is back to the ColecoVision publishing business. And we are coming back on full steam. As the creator of the Super Game Module, Opcode Games is committed to offer you thrilling new games that make the most of your newest ColecoVision expansion module. 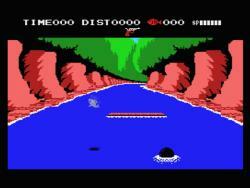 But now technology will be pushed a step further with the introduction of the Super Game Cartridges. Over the next few months, Opcode Games will be releasing a slew of advanced new games powered by the Super Game Cartridges. The release schedule includes such advanced games as Donkey Kong, Penguin Adventure and Gradius. In addition to those, SGM enhanced versions of fan favorites like Space Invaders and Pac-Man will also be available. All Super Games will come in distinctive packaging that will make they look good not just on your TV, but also on your shelf. The details on each specific game will be announced in the near future, but today I would like to announce the first game, Penguin Adventure. So let me start by presenting you the game. 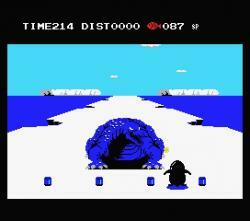 Penguin Adventure is the official sequel for the cult classic Antarctic Adventure, released for the ColecoVision in 1984. Now, 30 years later, you will finally be able to continue Penta's adventures, traveling the Continent of Dreams in search for the Golden Apple that will save poor Princess Penko. Penguin Adventure is an example of a game that is only possible thanks to the power and storage capacity of the Super Game Cartridges. This game is eight times (that is right, eight times) the size of the original Antarctic Adventure, and Penta's is no longer confined to the icy plains of Antarctica, but will now venture through forests, deserts, oceans, caves, rivers and more. Dozens of power ups and items are also available to help Penta in its quest, and your ears will be treated to one of the most beautiful and romantic soundtracks to ever grace your ColecoVision. But be warned: saving princess Penko won't be small task, as you will need to face dozens of different enemies in your quest, including the horrid giant lizards Freezauruses. Now that you know about the game, let's get down on how to pre-order it. In the past I could hand assemble all my games, from soldering the components to the PCB to gluing boxes together. That is no longer the case. Now all Opcode Games releases will come pre-assembled from factory. That greatly improves shipping times and quality. On the other hand, I will need to order just enough copies to supply demand and not be left with unsold inventories. That is why pre-ordering the game is now necessary, so that I can estimate how many copies need to be produced. So here is what you will get: complete Super Game Cartridge game with professionally printed box and manual. As usual, no laser printing here. We strive to be professionals and offset printing is the only way to go. Besides, Dale is very meticulous with the quality of his work. Price per copy: $40 + shipping, which will vary depending on where in the world you live. But we will keep it fair. Once you have subscribe, you will be notified when the game is available, payment options, etc. So this is it for now. Thanks for reading and please stay tuned for future announcements in the near future, including a few surprises. Edited by opcode, Thu Aug 21, 2014 12:53 PM. I just signed up too. Yeah, thanks for the suggestion. Field added. Over the next few months, Opcode Games will be releasing a slew of advanced new games powered by the Super Game Cartridges. 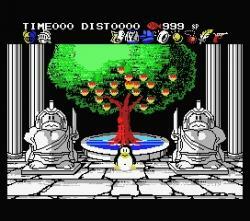 The release schedule includes such advanced games as Donkey Kong, Penguin Adventure and Gradius. Does this mean that DKA will defiantly be in our hands by Christmas 2014? No promises. 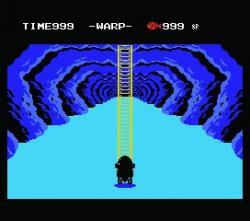 But I will say that these days, when I am not at my job or sleeping, I am working on ColecoVision games. So games are coming. Lots of them. Some games aren't even in my list above. Edited by opcode, Thu Aug 21, 2014 3:43 PM. Finally, P.A. 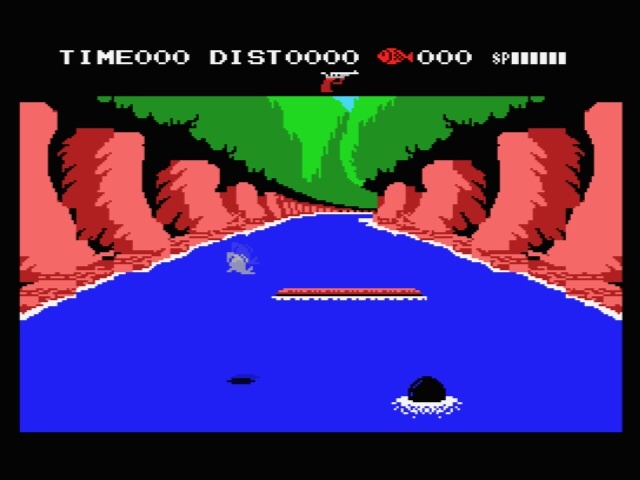 is coming to the ColecoVision!!! This is one of my favorite games on the MSX, but it's just not the same playing via an emulator. How close will the music and such be to the msx version ? It looks like a good game . Unless I'm mistaken, the original Penguin Adventure on MSX uses the "regular" MSX PSG sound chip, which is the chip found inside the SGM. So it should sound exactly the same on the ColecoVision. Great! 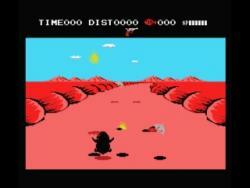 One of the best game on the MSX. Edited by BriceZ, Thu Aug 21, 2014 4:23 PM. This is going to be great! Antarctic Adventure is a game that I really enjoy and can still play fairly well, so I am very much looking forward to Penguin Adventure.